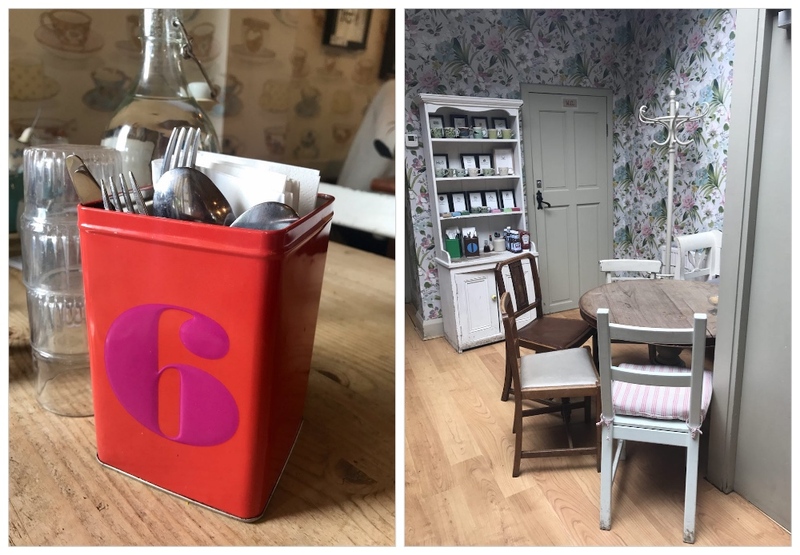 The vintage styling at Pierreponts cafe in Goring will please your inner granny, but the food offering is bang up to date. 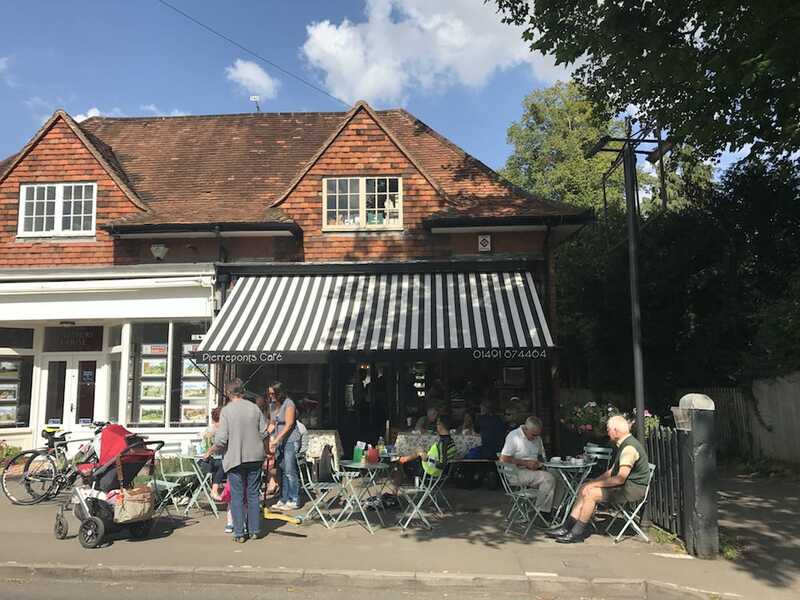 Sarah Prior, fragrant ex editor of Muddy Berkshire, will do anything for coffee and a hulk of Victoria sponge (pah, such a cheap date), so I sent her to the much-admired Pierreponts cafe in Goring-on-Thames to check out the goodies. 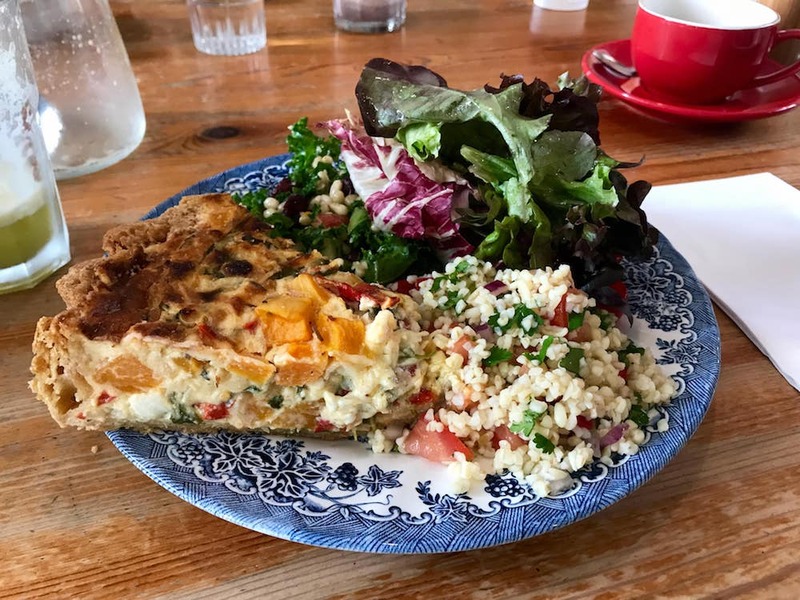 I’m on a mission to review more cafés at the mo, as it’s actually quite hard to find a decent one if you’re not from the area, don’t you think? And I know personally it’s helpful to know a good cappuccino or lunch spot if I’m going to watch the kids play sport or want to meet a mate for a lunch without going full pub. So here we go. Pick up your fork Sarah, it’s your big moment. 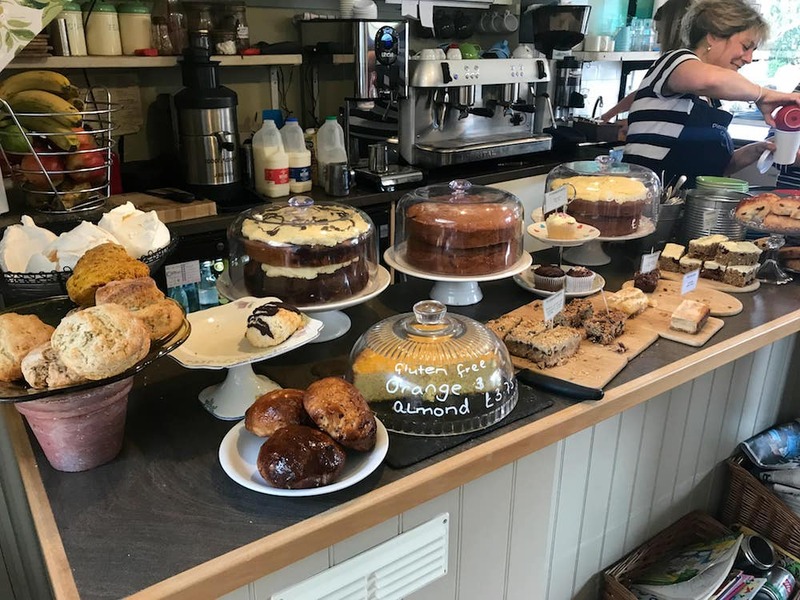 As a local to Goring, and Pierreponts being my Mother Ship, I can tell you that the affection for this place with regulars is on a par with our love for The Great British Bake Off as a nation. 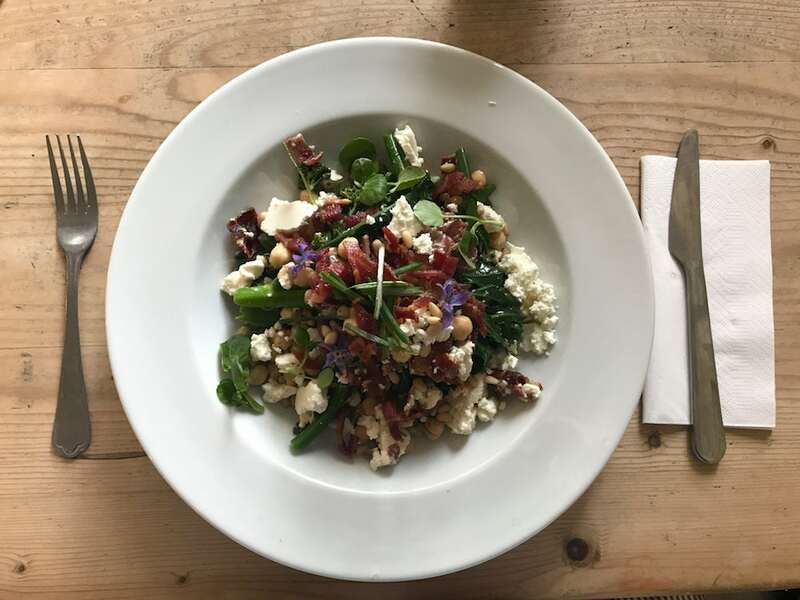 It’s quaint and quirky with warm and friendly staff, and a measure of its popularity is that you need to book, particularly on Fridays and Saturdays. Actually, on sunny days too when walkers and cyclists are out in force, and despite having sweated their way through several counties to get here, still have enough energy left to fight you for the last table. Pierreponts has had a lovely little spruce up over the summer, with a lick of paint and a smart new striped awning. The warm fug of steamy cappuccino hits you as you open the door, and inside you can ease into its vintage shabby chic vibe (I keep meaning to bring my slippers and really hunker down) with faded floral wallpaper, mismatched wooden tables and chairs and your gran’s canteen cutlery and patterned china. I’ve always loved the gorgeous roof lantern too, which floods the room with light. It’s not a huge space, with seven or so tables inside and a similar amount of seating outside on the pavement area. Dogs are welcome outside and there are bistro tables and chairs and some long wooden tables and benches (complete with tartan blankets for chilly knees). It’s on the main Goring & Streatley road, so not ideal if you’ve got explorer-type toddlers, but still a very pleasant place to sit. If you’re a George Michael fan you can gaze across at his beautiful former home, a 16th century cottage directly opposite. It’s worth a wander over to look at all the tributes left by fans (Choose Life t-shirt and neon pink leggings optional). The cottage even has its own Facebook page. You’re also just a few steps away from access to the river and one of the prettiest stretches along the Thames Path, so factor in a walk if you can. The café serves breakfast/brunch, lunch and afternoon tea, but also opens as a restaurant on Friday evenings. I’ve not been to one of these evenings yet but hear they’re charming, with generous sharing platters and excellent wine. Relatively new owners Steph and Phil sensibly didn’t fix what wasn’t broken, keeping some of the excellent staff and favouring local producers and artisan bakers. They’ve also got to know their regulars and made the café a wonderful village hub. French chef Georges Delorme turns out consistently good popular favourites, but also branches out with more exciting and innovative dishes for the daily specials menu. There’s always an amazing array of cakes and pastries. 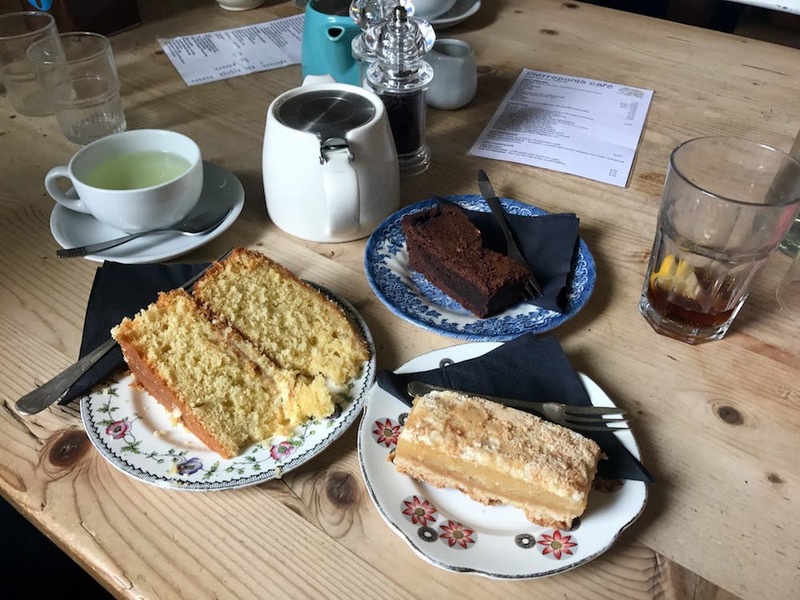 I may or may not have tried (not all in one sitting) the lemon drizzle with blueberries; rhubarb and custard crumble cake; Victoria sponge; Bakewell tart; jam donut; flapjack; and a rather fabulous cream tea. 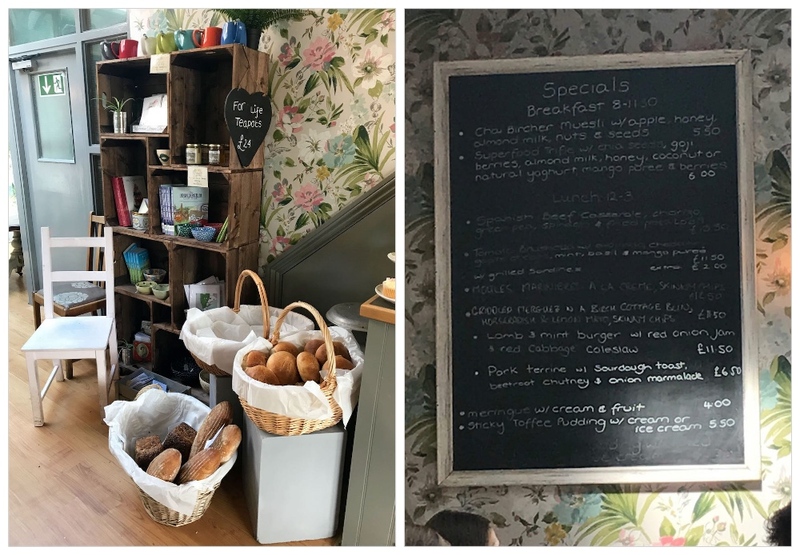 Breakfast and brunch is served until 11.30am and is always popular (look out for some lovely quirks – boiled eggs always sport a fetching knitted bobble hat). 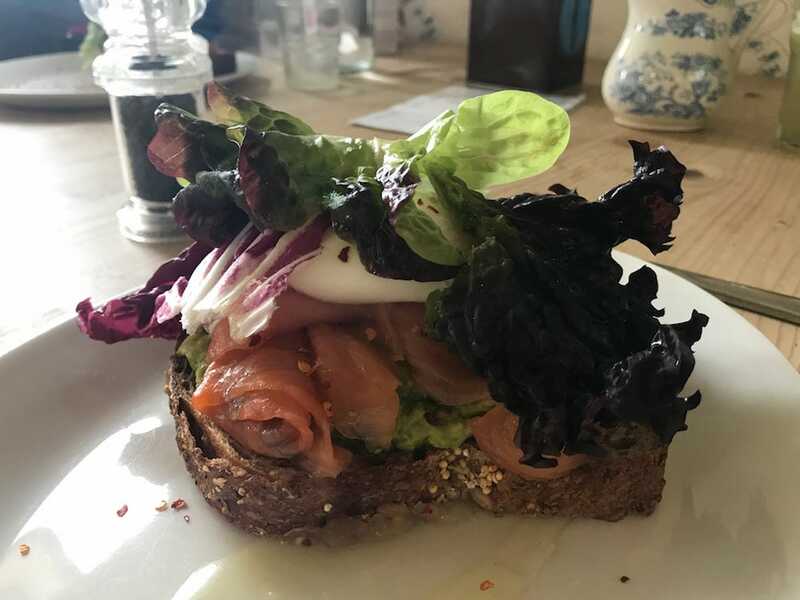 There’s loads of choice, from specials like superfood trifle with chia seeds, goji berries, almond milk, honey, coconut yogurt, mango puree and berries (£6) if you’re feeling virtuous, to a doorstop crispy bacon or sausage sandwich (from Vicar’s Game up the road) if you couldn’t give a hoot. Lunch-wise they do delicious soups, doorstop sandwiches on freshly baked loaves, fresh salads (no, don’t yawn – I mean exciting ones full of chunky roasted veg, dried fruits, fresh herbs, nuts, seeds and all that good stuff), quiches, Scotch eggs, and more main-meal things like burger of the day, savoury pancakes or a hearty casserole. On the day I popped in ‘officially’ to do my review I took a couple of friends and we ordered seasonal tart served with three salads (£8.50); Smoked salmon and avocado with poached egg and chilli flakes on Birch Cottage Bakery bread (£10) and a delicious crispy bacon, avocado and feta salad that I can’t for the life of me remember any more details about, sorry! But I can confirm, it was fresh and tasty with a lovely mix of favours and textures. Surely that’s enough intel, and besides the pictures say it all I think. 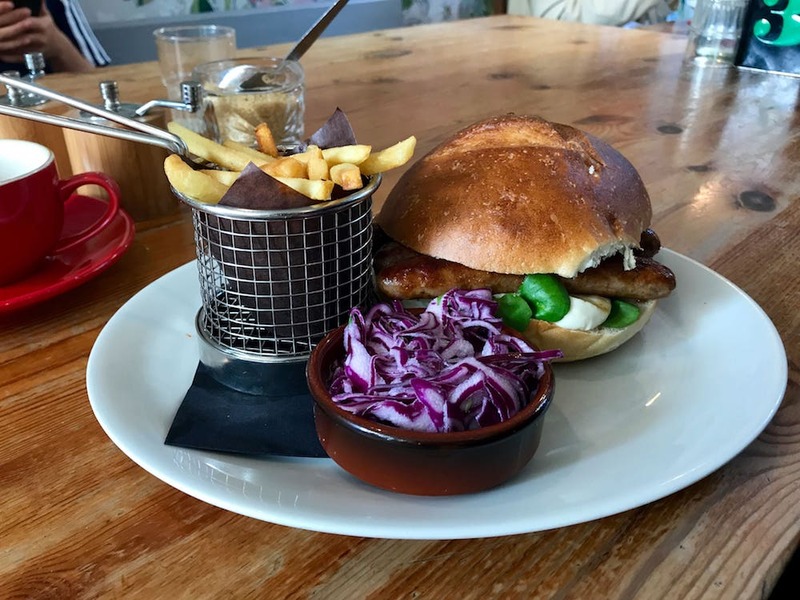 I thought you’d also like to see an example of something from the specials menu, so took this pic of my husband’s lunch on the weekend (yes, we probably should have our names on brass plaques somewhere) griddled Merguez sausages in a bap with horseradish and lemon mayo and skinny chips (£11.50). And if you’re in need of a last-minute gift they even sell a small selection of artwork, ceramics, and jewellery from local designers and the colourful individual tea pots that they serve their leaf teas in. You can park in the village car park, just a few minutes walk, but it’s quite small so try your luck in any of the quiet village side roads. Just a reminder, get there early or book a table to be on the safe side, unless you’re prepared for a bun fight. Ah well, at least you’re in the right place – their buns are awfully good. 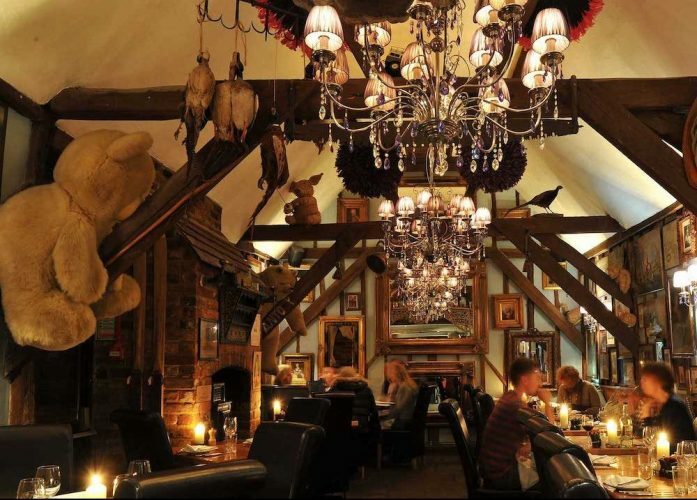 Pierreponts, 1 High Street, Goring-on-Thames, RG8 9AB. Tel: 01491 874464 pierreponts.co.uk. 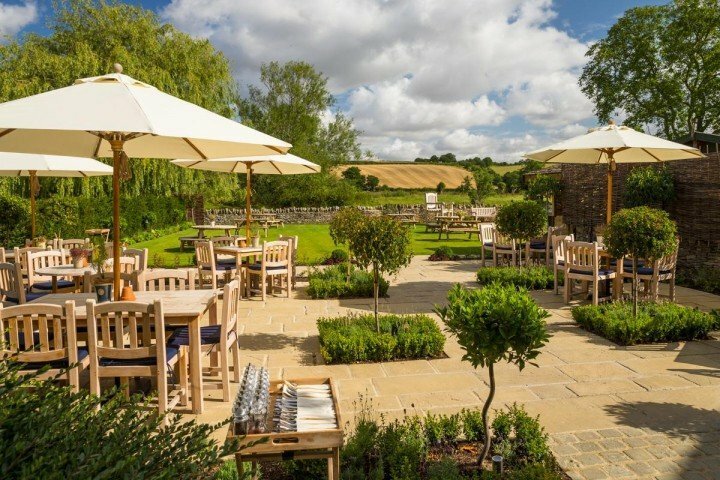 Opening times: Tues to Sat 8am to 5pm (breakfast/brunch 8am to 11.30am; lunch 12 noon to 3pm; afternoon tea until 5pm); and most Friday evenings from 6pm to 11pm for dinner. 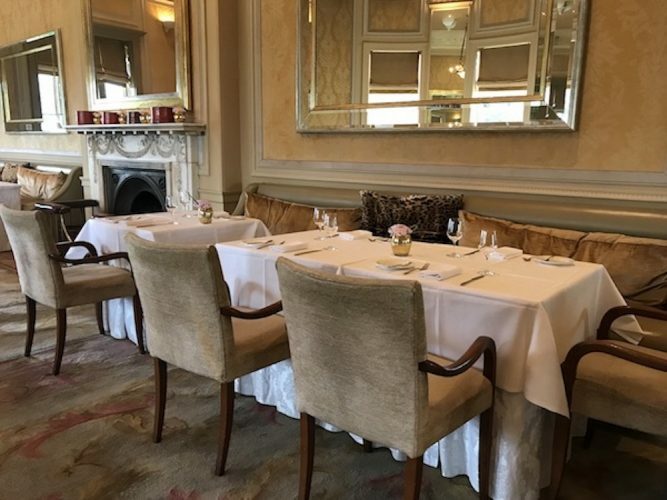 Pierreponts is legendary – the food is always superb, the atmosphere brilliant – the only problem now that it’s popularity is being discovered far and wide will be getting a table! !